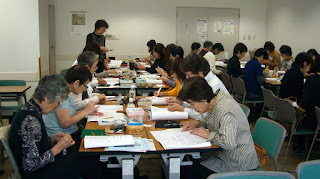 This was my second workshop in Tokyo. There were 31 participants. Today everything seemed to run a little smoother in the workshop. I am more use to how they do things and my hosts timing was not so rushed today. But more than anything it is always fun to be in a workshop no matter what the country. They are like tatters everywhere, they chat, they laugh and they love to learn a new pattern. The work they bring to share is beautiful and imaginative. Forgive me for being out of focus on this. But can't you see the fresh young design of this self taught tatter. I just loved the beads in the petals on this design. I never knew that they celebrated Halloween in Japan until I saw this next display. Isn't he cute? Tomorrow I get to sightsee in Nagoya. Yeah a day off! 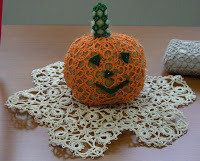 I've always been so impressed when I visit Japanese tatting blogs and websites. The tatting is precise and the way they display their tatting is so beautiful. I couldn't get your pic to enlarge so I saved it and then resized it bigger on my screen. Fuzzy but then I could see the beads in the petals somewhat! You're having a lovely adventure! Hi Gina, All the tatting they have brought to share is amazing. I'm sorry I don't have a better picture of the flowers, but I will post pictures of other things when I get home. 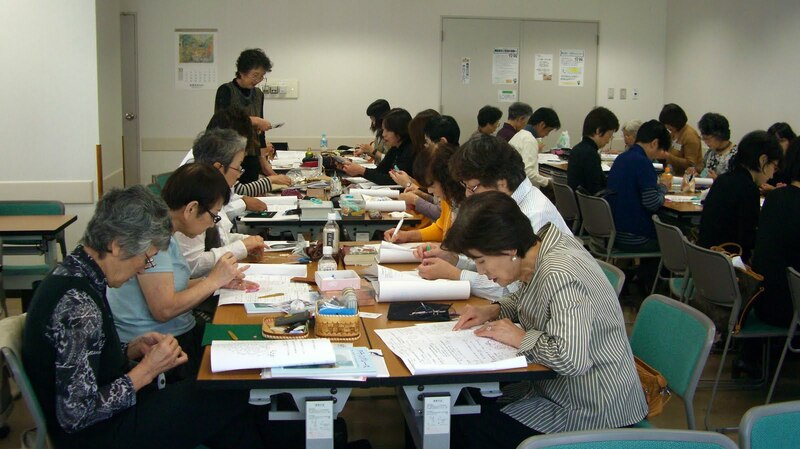 Lucky you with this georgeous experiencie to be in Japan in this lovely workshop! Congratulations! I love all the japanese tatting.